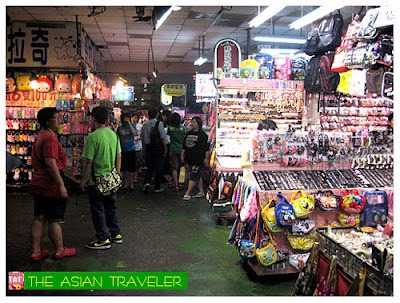 We did a trip to Shilin Night Market twice during our stay. 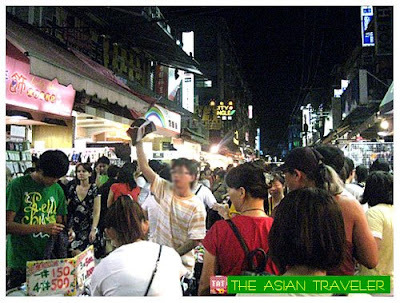 There is no doubt, this is the most popular and the biggest among the night markets in Taipei, Taiwan. 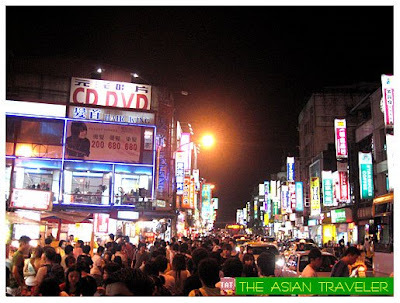 It covers the area around Dadong St., Danan St., Wenlin Road, Jihe Road in Shilin District. The market is a kaleidoscope of excitement that will surely awaken the senses. It is dotted with a large number of shops where you'll be able to pick and choose almost anything from apparels, souvenirs and fashion accessories. The first thing that strikes us about the market is just how chock-a-block the place is. Things really kick off here at dusk where crowds spilled out into the streets. 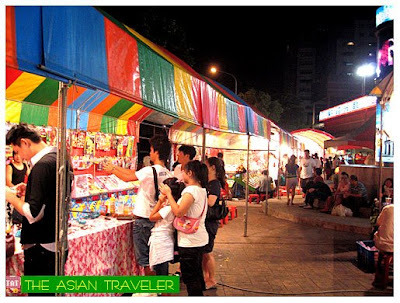 Indeed Shilin night market has become widely appreciated among locals and tourists alike. The market food scene is copious. There are a lot of open air food stalls and small restaurants offering various Taiwanese signature snacks and many flavors of sweets and desserts. I didn't know that Shilin Night Market is divided into two sections until hb escorted me to the food market area, just directly opposite the Jiantan MRT station. 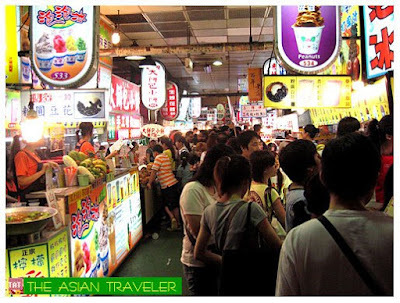 From the main business district section, we crossed the road and headed to the Shilin market building that houses a large covered food court containing mostly food stall vendors and a number of traditional sit-down small eateries providing affordable dishes. Beside the eateries, there are also some small retail stores selling various non-food items. While outside the building you'll find some plain booths of carnival games. 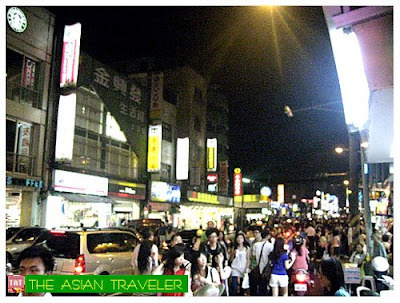 Shilin Night Market is located in Shilin District (near Jiantan Station on the Danshi Line), Taipei, Taiwan. The market is divided into 2 sections but not particularly segregated. 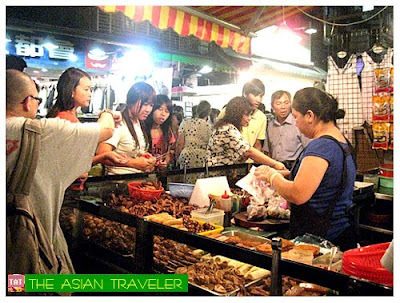 Aside from the market food section, the business main district section also has food stalls and small eateries jumbled into every corner of the market. Did you get a chance to see everyone close up when the cops arrive? All those vendors standing in the street book it like crazy whenever a cop shows up.The news spreads like wildfire until you've got vendors running every which way with boxes and racks of clothing in their wake. Shi-lin nightmarket is one of THE places to be on weekends, because it's the type of fun that people of all ages can enjoy. Oh yes, we were walking down the alley when street vendors suddenly packed up and pushed their cart in mad rush manner and hide. But I wasn't really surprised because we have a similar situation here in the Philippines especially in "Divisoria", where some vendors operate illegally and hide their stuffs when runners warns them whenever there's a police inspection . I wanna go shopping there!!!! I love night market!!! 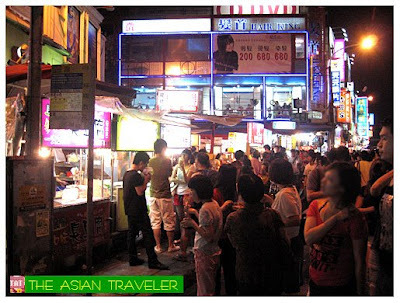 Have read so much about this Shilin Night Market. The place looks so exciting! nandyan ka ba for work? para din palang pilipinas dyan. 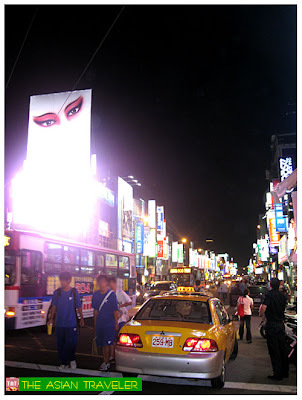 Yes, it's the most exciting place and chaotic atmosphere in Taipei.